Happy Thanksgiving Weekend. 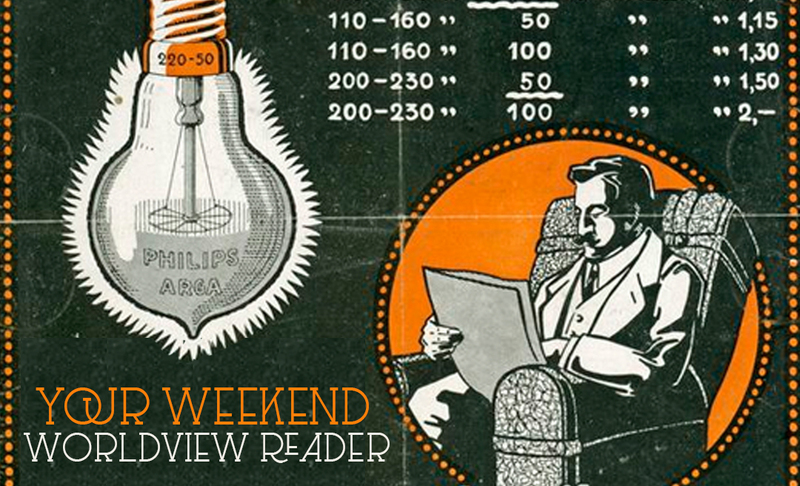 This will be the last Weekend Worldview Reader until after the first of the year. Have a great Christmas! Pardon the shameless plug: if you’re looking for stocking stuffer ideas for your kids you might check out my worldview novellas for younger readers: The Owlings. Here’s links to articles, essays, reviews, and videos that I consider to be interesting or important from a biblical worldview perspective. Any work that I point to is not an endorsement, but rather an invitation for you to think deeply about your faith and the world around you.